Under a new bill introduced on Capitol Hill, the federal government would pay the Navajo Nation nearly $200 million for water projects, with another $8 million coming from Utah, as part of a deal to end more than a decade of contention over water rights. Senator Orrin Hatch (R-Utah) introduced the bill on Thursday, with Representative Jason Chaffetz (R-Utah) filing companion legislation in the House. Senate Bill 664 would authorize the US government to spend up to $198.3 million for Navajo water projects like wells, pipelines and treatment plants. It took more than 13 years for a federal negotiations team from the Bureau of Reclamation, the state of Utah and the Navajo Nation to agree to a deal, which the current Navajo Nation Council listed as a priority when it took office in 2015. Formal discussions between Utah and the Navajo Nation began after the two sides signed a memorandum of agreement in 2003. The Navajo Nation possesses extensive “aboriginal, historic, appropriative and reserved rights to the use of all the water necessary” to make its reservation land livable, but those water rights are “largely unquantified," according to the Navajo Nation Water Rights Commission. The Navajo Nation is located almost entirely within the Colorado River Basin in the Four Corners states of Arizona, Colorado, New Mexico and Utah. 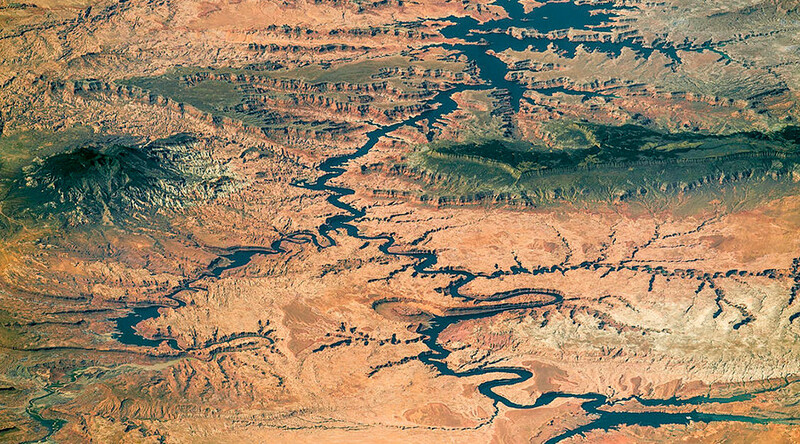 The deal gives the Navajo Nation 81,500 acre-feet per year (AFY) of Utah’s unused share of water on the San Juan River, which empties into the Colorado near Glen Canyon. That will support about 300,000 people annually, far more than the reservation’s population of nearly 175,000, according to the 2010 US Census. Fewer than 6,000 Navajo live in the part of the reservation that is in Utah. The settlement, which was initially announced last January, drew protests that it was a “bad water deal” that was rushed through the Navajo Nation Council by a non-Indian water rights attorney, according to Navajo activist Ed Becenti. The lawyer, Stanley Pollack, has been employed by the Navajo Nation since the 1980s. The 81,500 AFY is just a tiny share compared to the Uintah-Ouray Utes, who negotiated 470,000 AFY for just 1,200 citizens, Becenti said last January. 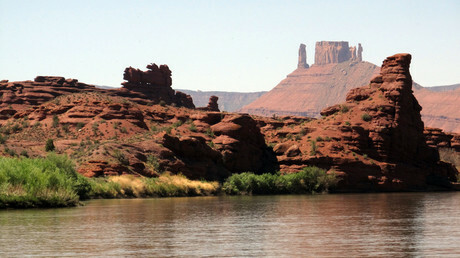 Conservation groups were alarmed that the deal includes a waiver of any past legal claims against Utah and the US, even though such a provision is standard in water agreements between Native American tribes and the US government, according to the Indian Country Media Network (ICMN). An advising attorney for the Navajo Nation, Daniel Cordalis, who is Navajo, pointed out that the situation is more nuanced than that, as the water rights deal with the San Juan River, not the Colorado. The agreement allows the Navajo Nation to draw water from aquifers, the San Juan, and its tributaries, as well as the ability to divert water from Lake Powell, though the tribe does not currently have plans to do so. “What the settlement does is provide that flexibility for tribal members to both use water now and have enough water for future development, which ultimately is most important,” Cordalis added. The agreement also allows for economic development and for leasing water to off-reservation entities, and Navajo communities in the Beehive State won’t lose any water they don’t use.